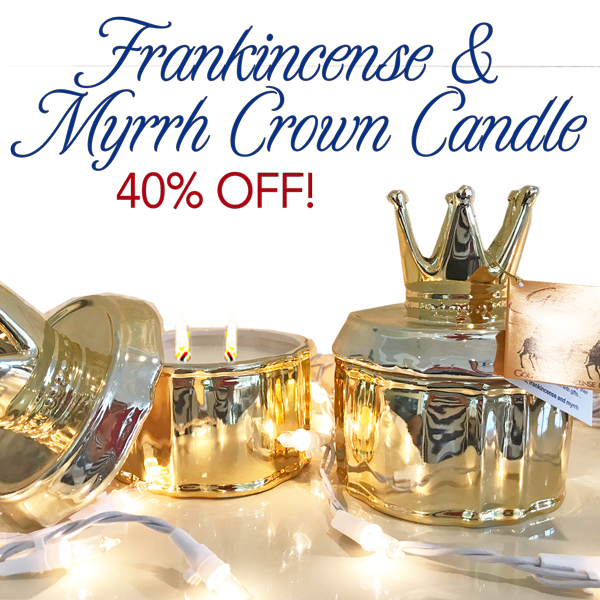 We chose this shimmering gold crown container and filled it with the perfect candle scent for the season--Frankincense & Myrrh. Our 2-wick candle is made with our signature soy blend wax with natural cotton wick and will provide long hours of enjoyment with a glowing ambiance and fragrance. After burning, container can be used as a lovely, unique holder for jewelry, candies, or even a decorative accent in any decor. Container measures 4.5" wide, 6" tall with lid.